Product #55678 | SKU HS-935BT BLACK | 0.0 (no ratings yet) Thanks for your rating! Genius HS-935BT headphones offer you the freedom to take you music anywhere you go with no wires! Bluetooth 4.0 has an incredible range of up to 30m so you can enjoy maximum mobility. You can connect your headset to any Bluetooth enabled mobile devices to provide high-quality sound delivery and with built in microphone, never miss a call. 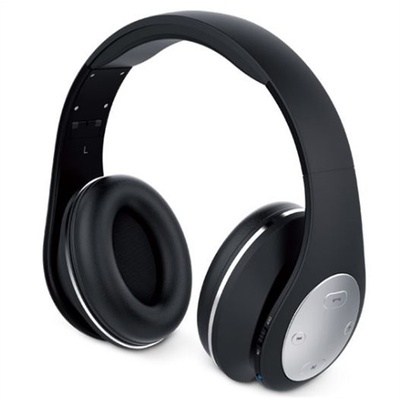 The rechargeable Lithium battery allows you up to 15hours of non-stop music; a modern day essential.